In my many years teaching people about water and its impact on health, I have discovered that people in our society know shockingly little about the subject. This is even true of people who should know better. 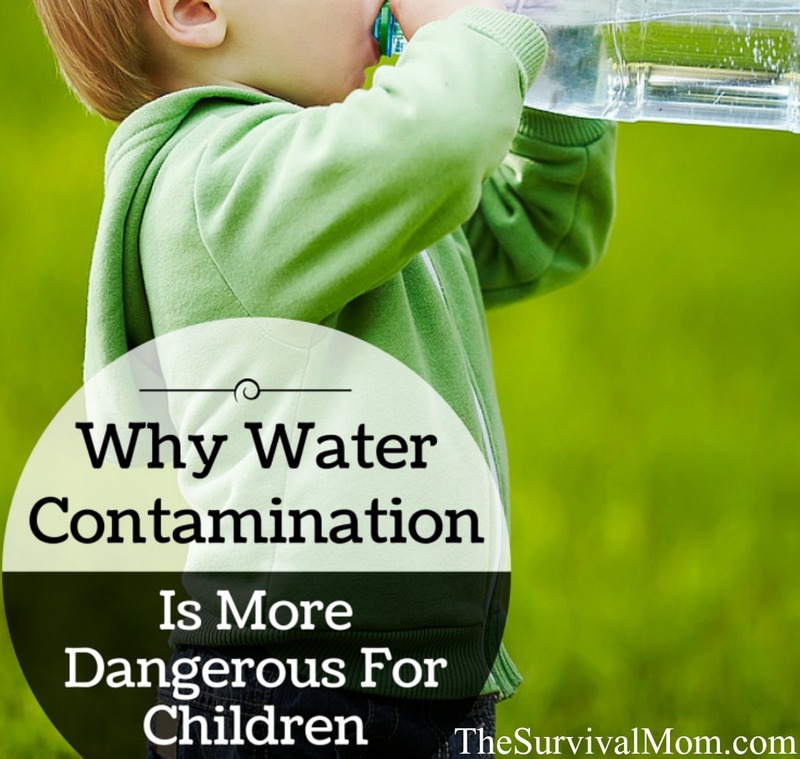 When I agreed to write this article for The Survival Mom, I thought it was a great opportunity to talk about one of the most important subjects, and one that I am passionate about; why water contamination is more dangerous for children. More than 85,000 chemicals are in use today. Municipal water supplies, however, are only required to meet standards on about 100 of these potential contaminants. Water supplies that meet these standards are considered “legally” safe to drink. Many cities that have “safe drinking water” actually have water supplies contaminated by high levels of dangerous, yet unregulated chemicals. 62,000 chemicals have been grandfathered into our chemical safety laws. This means that even though many of these chemicals are used every day, they have gone through little to no toxicity testing. This was the problem with the recent chemical spill in West Virginia; no one knows how toxic the chemical is. In the US alone, more than 1.23 billion pounds of conventional pesticides are released into the environment each year, and that number increases to 4.5 billion pounds when all types of pesticides are included. While adults should not consume these chemicals, these toxins pose a greater threat to the health of newborns, small children, and even the unborn. Yes, the unborn are being exposed to these chemicals in the womb. A recent study of umbilical cords of ten babies found 287 chemicals (an average of 200 per child). Of these chemicals, 180 are known to cause cancer in humans, 217 are toxic to the brain and nervous system, and 208 cause birth defects in animals. (Source: Body Burden; Pollution in Newborns). Many chemicals in use today are known to be toxic including lead, mercury, cadmium, fluoride, industrial solvents, many pesticides, insecticides, and herbicides. Many more chemicals, however, have unknown health effects. A child’s body contains a higher ratio of water than an adult’s body. A healthy adult male’s body is close to 60 percent water, while an adult woman’s body is around 55 percent water. A newborn’s body will consist of upwards of 78 percent water. Children consume more water for their weight than adults. Children’s need for water is greater, and they can become dehydrated faster. Children’s nervous systems (including their brains) are continuing to develop, which means that toxins can interfere with the development process and cause permanent learning disorders. Children have lower body mass. A child’s chemical exposures are greater pound-for-pound than those of adults, so chemicals may interfere with brain development at exposure levels that have minimal or no effect on the adult brain. Children have an undeveloped immune system, and thus they are more susceptible to microbes in water. 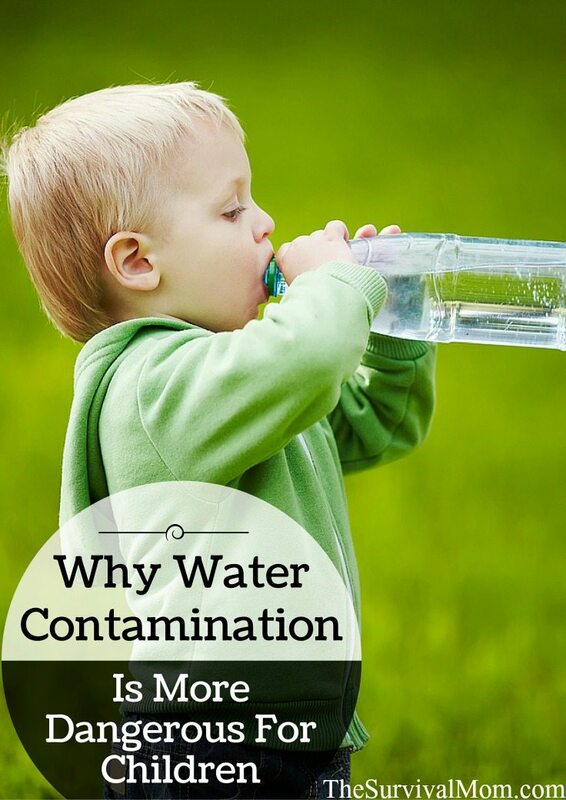 When there is a biological contamination of a water supply, children and elderly are more likely to become sick. What I have been talking about so far is exposure to water contaminants in our day-to-day lives, but it’s very important to also talk about emergency situations. Earthquakes, hurricanes, floods or even man-made disasters such as chemical spills can happen without warning, and when they do your water supply could be threatened. Chemicals can be released in large quantities because of ruptured pipelines, storage tanks, train derailments, and more. An even bigger threat is bacteria from sewage, which can cause adults and children to become severely sick and dehydrated. It’s during these times that you need to know how to provide your family with safe drinking water. The most important tool for protecting your family is a clear understanding of water, water contamination and water treatment methods. 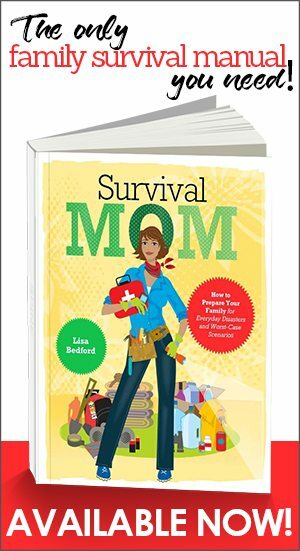 I would like to invite you to a private webinar that we are hosting with The Survival Mom on February 5th at 7pm (click here to register). 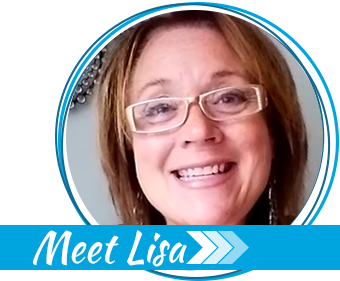 The webinar will give you a solid understanding of water and water contamination, especially in an emergency. 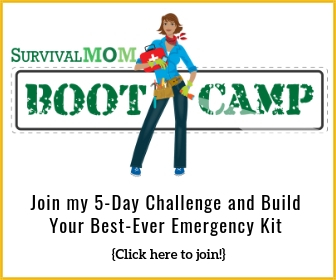 Guest post by Glenn Meder is one of the leading experts on water in an emergency situation and is the designer of the Survival Still emergency water distiller. 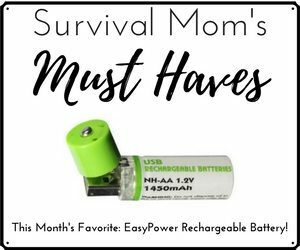 Enter to win a $500 Amazon gift card from Kinsights and The Survival Mom!